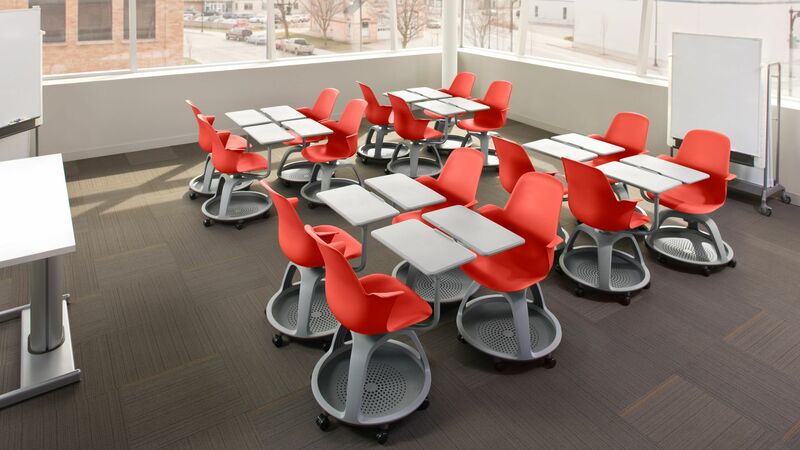 The Node chair is highly mobile—a quality that translates directly into classroom performance. After all, a multi-modal lesson plan can be carried out more effectively when seating is arranged and rearranged effortlessly. Traditional classroom seating has limited mobility, putting the burden on educators to adapt. 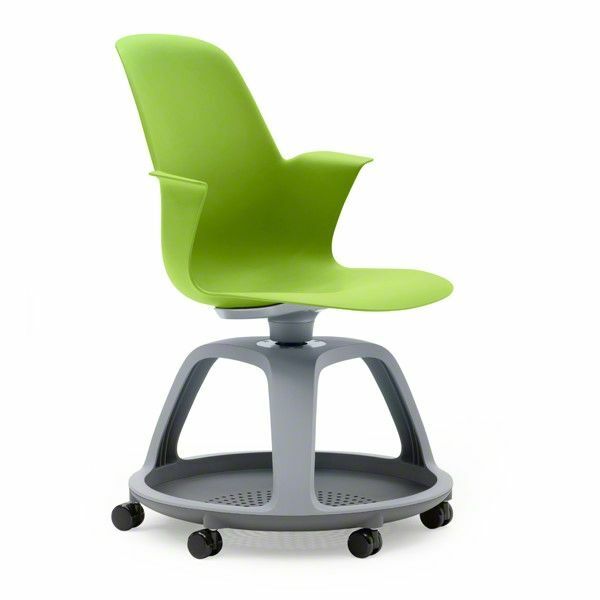 The Node chair, however, accommodates any teaching mode. 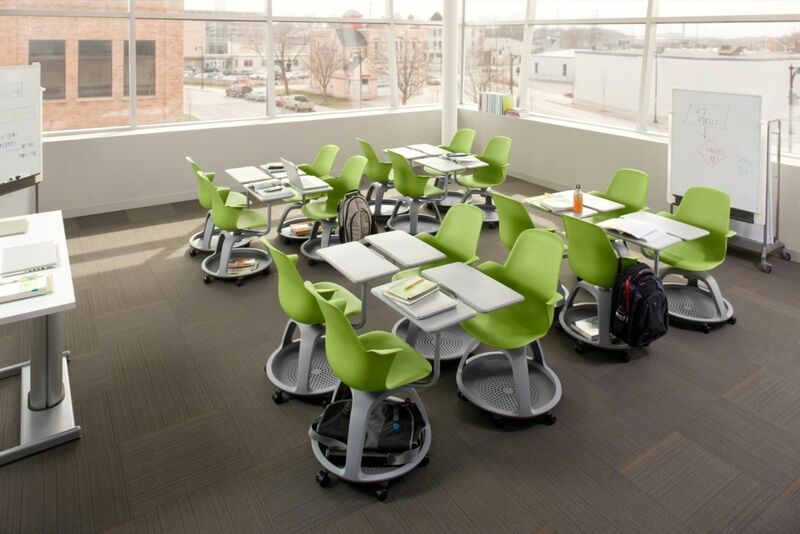 The swivel seat gives students the freedom to shift focus throughout the room. And, because the personal worksurface swivels in tandem, books, laptops and other information remain at their fingertips. It’s subtle, but clear sight lines to the instructor, fellow students and whiteboards can dramatically enhance interaction and engagement. Node is also available without a worksurface for table-based classrooms, like VerbTM, sharing in the same design language and materials palette. 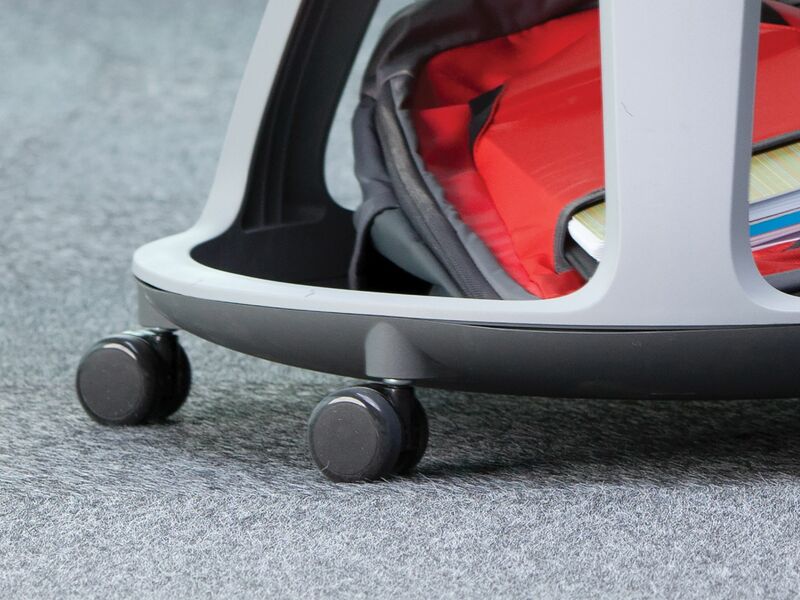 The base of the Node chair provides a unique storage solution for backpacks and student belongings that usually clutter the aisles. This allows quicker and easier transitions between teaching modes. Even the arms serve a storage purpose. Aside from being a place to rest your elbows, they are designed to hold a backpack or bag, keeping personal items safe, secure, and close at hand. 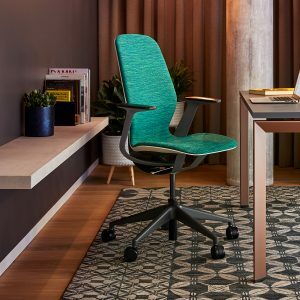 The Node chair has an adjustable worksurface, providing a perfect fit for students of all shapes and sizes. The Node chair’s worksurface accommodates both left and right-handed students. 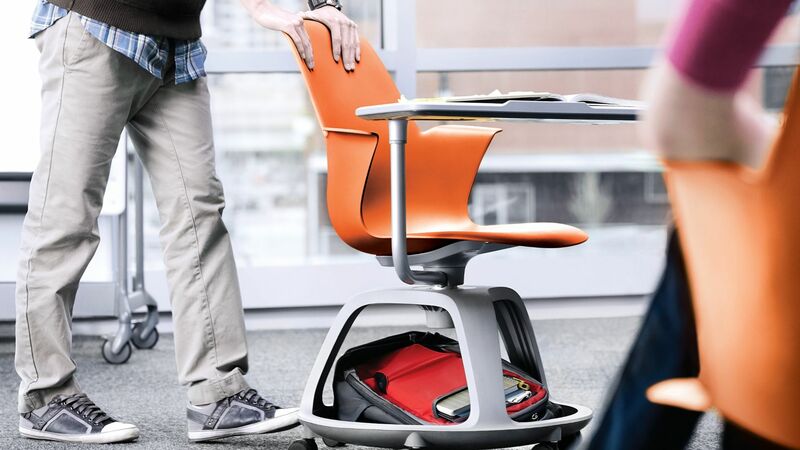 The seat bends and flexes with the student for better ergonomics and comfort.